The First Decision you need to make is how badly you want a baby. We strongly suggest you have a long discussion with your partner and discuss both the personal and financial commitment that it takes to go through the egg donation and if needed, the surrogacy process. In summary, using an Egg Donor in the USA will typically cost around $16,000 for donor fees and about the same for IVF Centre costs, or a total of about $32,000. If you are willing to go to India and use an Indian Egg Donor the cost will be around $12,000 plus travel costs to New Delhi of about $3,000 or so for a 10 day stay. See section on Indian IVF for details. We have both options available through our agency. Cost Reduction Tip: To keep donor travel costs to a minimum, many intended parents allow the donor to be treated and have the embryos prepared and frozen at an IVF Center near the donor’s residence. The frozen embryos can then easily be transferred to your preferred IVF Center for implantation. In prior years, there was a preference for fresh transfers. However, frozen technology and implantation techniques have improved vastly in the last few years. Now we frequently see IVF Centers implanting only one embryo in an intended mother, due to the high risk of having twins. Before starting the process of choosing a donor, you need to choose a fertility clinic in the USA or Canada and get checked to ensure you are medically ready to proceed down this very exciting path. What this means on a practical level, is that your most recent blood tests and pelvic ultrasound are not more than one year old. Your chosen fertility clinic will ask you to complete a Medical Information Questionnaire, providing the results of all your most recent tests. If you need a recommendation on a IVF Clinic to use in the USA or in India, we can give you some excellent recommendations. We can only ‘hold’ your donor for three months, so it is best to make sure you are ready to begin treatment as soon as your donor says “I do”! Stay on our website: Then click on: http://www.indianeggdonors.com/register.aspx. You will be taken to the Intended Parent Portal. If it is your first visit, you will be asked to register with your email address and a password of your choice. You will be able to search for donors according to various characteristic (eye colour / hair colour / race etc ) as well as per location. Please take careful note of the location where the donor is situated. If you choose a donor who does not live in the city in which your chosen fertility clinic is based, additional travelling costs will apply. For an estimate of the costs associated with an ‘out of town’ donor, we recommend a $2,000 budget. Please note: Some of our donors have indicated that they are only able to donate in their home town. If you fall in love with a donor who has not indicated she is willing to donate in the city where your clinic is located, we can approach her individually and ask if she would consider being a travelling donor for your donation. Please be mindful of the fact that at any time there are many recipients browsing the egg donor database and choosing donors. We aren’t able to predict when a donor might be chosen. So if you find a donor you really love, it is better to reserve her sooner rather than later in order to avoid disappointment. Please note that all our donations are totally anonymous and no identifying information of either recipient or donor will be made known. The guidelines laid down by the American Society of Reproductive Medicine guide the way and amount of information about a donor that you will receive. Typically you can see one. adult photos with intended and a baby and toddler photos of the donor with you. In order to assist you with making the right choice, you are welcome to send us recent photo of yourself and we will guide you in making a choice that is right for you. There are over 1,000 donors on the website. There is constant flow of donors coming, being placed and becoming unavailable every week. Most donors can donate up to six times. However, many are students and have study and exam schedules which are their top priority. They may only be available to donate during their vacation periods. When searching we recommend you prepare a list of your top five donors and send them to us at info@indianeggdonors.com. Send you detailed four page profiles on the donor. Let you know about their availability dates to help you finalize a donor. Selection Tip: There is a huge shortage of Indian donors in the USA and Canada. We receive about 15 inquiries daily for every donor we have available. If you see a donor you like contact us for the profiles and please reserve her immediately. There are many people searching the donor data base daily and we assign donors on a “First Completed Forms Received Priority”. We repeatedly get disappointed phone calls from Intended Parents who saw a donor two weeks ago and are upset to find that she has been placed while they were thinking about their selection. Once you’ve decided on a donor and you are ready to proceed to the next step (payment) you can reserve the donor. Follow the prompts on the system in order to reserve your donor. 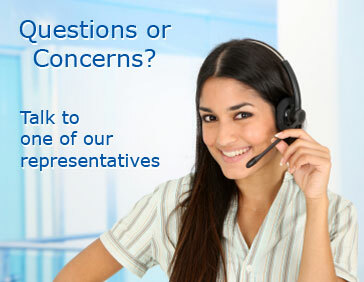 If you need any assistance, we are just a phone call or email away. Once you have reserved your donor, we will confirm with them that they are ready, willing and able to donate for you before we charge any fees to your credit card. Please note that we can only ‘hold’ donors for 3 months – in other words, the donor’s treatment cycle must have started within 3 months of being chosen. The next step is for the donor to report to the IVF Center you have selected. On arrival the donor will show her driver license or passport to the IVF Center, who will match her idientity to the Profile Form you have received form us, to verify she is the donor you have selected. The next step is for her on the same day to undergo a medical assessment in order to confirm her readiness to donate. In some IVF Centers, this is also followed by a Psychological assessemnt For more information about the psychological assessment please refer to Appendix D. It can take anywhere between 2-3 weeks to get an appointment, sometimes longer, depending on how busy your chosen clinic is. The medical assessment needs to be done each time she donates, irrespective of whether it has been done before. Should the donor fail her medical or psychological assessment, or withdraw her participation in the donation prior to egg retrieval, we will replace the donor with another donor of your choice at no additional charge. Once ok’ed by both the psychologist and the doctor (and the blood results come back ok – usually takes about a week for the blood results to come through), the clinic will make contact with you and discuss the next steps in the treatment plan for you and your donor. At this point, your chosen fertility clinic takes over the coordination, communication and control of your treatment plan, but we are here to support you all the way through the process! So, the whole process takes between 8-10 weeks from the time you pick a donor until the donation happens, sometimes a little shorter or longer depending on how long it takes the donor to get through all the initial medical screening, and how ‘in sync’ your cycles are. Some words of advice: Even with the best success rate in the world, no procedure has a 100% success rate. This means for some, the procedure doesn’t work the first time. You might want to consider having a backup plan if you are part of the unlucky few for whom the procedure isn’t successful on the first attempt. What we have found is a great backup option is to freeze the surplus embryos and store them at your clinic. This way you donto have to repeat getting the donor again. We wish you lots of luck and love on the road ahead and we hope that your journey is a short one filled with sweet success. As soon as this is received and we have all your completed documents and results we can plan your cycle. Your arrival can normally be 8 weeks or more from the donor’s first appointment. Your medication: You will take a Leuprorelin depot injection (Lucrin) on day 1 of your period which should start between 2 and 6 weeks prior to your arrival date in India . This will suppress the release of FSH and LH in your system and therefore prevent follicles from growing and ovulation. Two weeks prior to your arrival you will start with Estradiol tablets to thicken the lining of the womb. The donor’s cycle will be planned so that she is on day 10 of her cycle when you have your first appointment . She starts her injections on day 3 of her cycle and will have scans on day 8, 10 and 12 with retrieval on day 14. This is the norm and depends on her response. On this day your partner must provide a sample in the morning. You will also start with Progesterone injections on this day. The day after the egg retrieval the lab will inform you about the fertilization and also tell you when transfer is expected. We always plan for day 5 transfer and advice that patients can travel home 2 days after embryo transfer. If you are pregnant you will continue taking the estradiol tablets and progesterone injections for 6 more weeks and can then stop. Although we pre-screen our egg donors as much as we are able to, we are not qualified to make a professional assessment of the donor’s eligibility to donate. This need to be done by a qualified professional. Each donor is required to have a medical and psychological assessment and counselling before being declared fit to donate. As with all people the donor's lives change and their mental and physical health also changes, hence the screening is done at the time of the match. The medical assessment needs to be repeated every time the donor donates and the psychological assessment once a year. The counselling aspect includes ensuring that the donor has thought through her offer to donate thoroughly and that she has the emotional capacity and social support to enter into a donation process. Lastly, the assessment includes gaining an accurate understanding of her and her family's mental health. During this process a family history of mental illness/challenges may be identified. This information might not have been noted on the donor’s profile as she may not have been aware of the illness/challenge at the time of completing the agency information, or she may not have been able to provide all the relevant information with regards to the illness/challenge at the time of completing her application to be a donor.